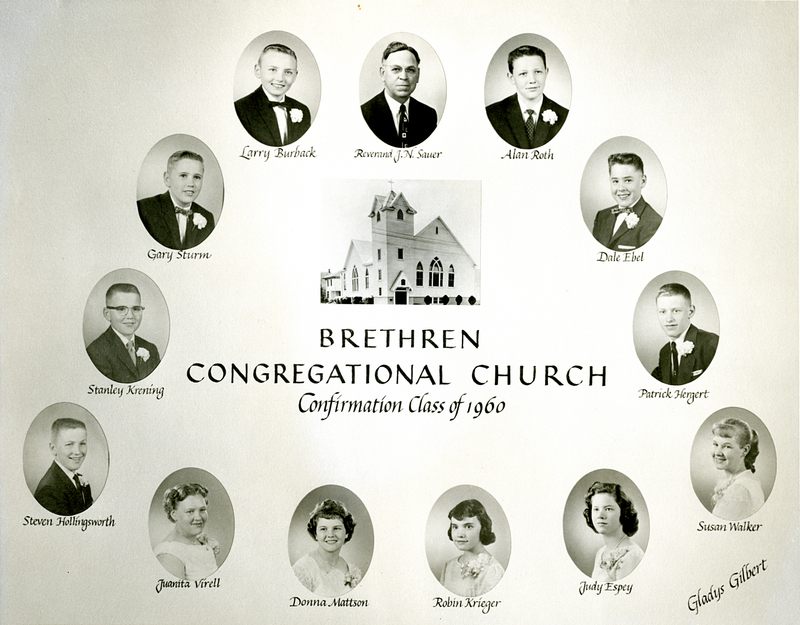 The German Congregational Evangelical Brethren Church Confirmation Class of April 10, 1960 led by Reverend J. N. Sauer. Class members include: Alan Roth, Dale Ebel, Patrick Hergert, Susan Walker, Judy Espey, Robin Krieger, Donna Mattson, Juanita Virell, Steven Hollingsworth, Stanley Krening, Gary Sturm, Larry Burback (Burbach). The source of this photograph is unknown.